Whether you are starting a law practice, growing your practice, or recovering from a downturn in your practice these tips can put you on the path to success. Webrageous has been managing paid search for attorneys since 2004 and we have been in business since 2001. Our areas of expertise include (but are not limited to) family law, bankruptcy, and mass torts. Great reviews make it much easier to sell a client on your services. And they can help your website rank better and with Google Maps (Google local search). As a goal you should have over 50 Google reviews. Put yourself in the shoes of a potential client for a moment. Which of these family law firms would you hire if you needed a divorce? The first one with twelve 5-star reviews or the second attorney with tons of reviews but a 3.4 star rating? Or the last attorney on the list with just 2 reviews? • Work really hard for your clients. • Ask for positive reviews. Offer to write a draft and have the client make any edits they feel appropriate. This makes it so much easier for someone to post a review. • Recovering from bad reviews is very difficult. Having 50 positive reviews inoculates you somewhat from the effect of one or two bad reviews. • Take the time every month to ask for positive reviews on the Better Business Bureau, Yelp, Google, LinkedIn, and Facebook. There are some automated services to request reviews and they can automatically post reviews on a variety of sites. We don’t have personal experience with any of these services so we won’t recommend any. Most of them cost several hundred dollars per month. There are also companies that purport to help you clean up a bad online reputation. That industry has a bad reputation itself. Hire someone great to design or redesign your site. We recommend Legal Web Design. Adam is the best web designer we work with. He is also an attorney. If you can’t afford him then post a project on 99designs.com. You can get your money back if you are not happy with the design as long as you don’t start the final round or guarantee the prize (check the terms and conditions because the rules to get your money back may change over time). This is a crowd sourced design competition and the more you offer for your design the more designers will compete to win your business and the more time they will put in to develop a great site for you. Set up Google analytics and Google Search console. Both of these are free and give you fabulous statistics and insight into many opportunities and problems with your site. Setup Cloudflare. This free service prevents your site from getting hacked, and does much more. Setup HTTPS. Google will rank you more highly. And contact form submissions will be more secure. Which is critical given the sensitive nature of the attorney-client relationship. Register your domain for at least 10 years with Go Daddy and set up contact privacy so you are not spammed. Be sure to renew your domain years ahead of time and have a valid credit card number on your account for auto renewal.if you email address changes make sure you update that with Go Daddy so you don’t lose your domain. You can host your site very inexpensively with Go Daddy . I prefer Hurricane Electric because of their fabulous customer support. Countless times they’ve performed tasks that would have required hiring a developer had I been hosting with anyone else. However expect to pay $25 per month for hosting with Hurricane Electric instead of about $5 per month with GoDaddy. You can use Hurricane Electric or Go Daddy for hosting your email but I prefer to port that over to G Suite/GMail. It is more secure but you also pay about five dollars per month for each email user. if you keep email with Go Daddy or Hurricane Electric you can have hundreds of email addresses for no extra charge other than your hosting charge each month. Learn the basics of conversion optimization. Make sure that whoever designs your site keeps these best practices in mind. You can generate 3 to 5 times as many leads with your website if you keep conversion optimization in mind when designing or redesigning your site. Here are some great conversion optimization infographics. Marie Dean has rates starting at about $500 for an initial analysis and recommendations for your site regarding conversion optimization. Visit our homepage for some great ideas about conversion optimization. Notice it is fairly clean, not cluttered, we indicate clearly what we do, and there are calls to action for calling us or filling out a contact form. All of these elements can be seen without scrolling down. That is conversion optimization in a nutshell. • the value proposition is clear: we offer a risk-free trial. To save you the trouble of creating and optimizing in managing the website we offer clients a website for $995. There is a risk-free trial available for signing up with us to manage your paid search. An we may be able to offer the website on a risk-free trial basis for the first 60 days. That way if you are happy you can get your money back. I’m pretty sure it is no one else in the industry who will manage your paid search for two months risk free, and allow you to kick the tires on the website with no risk either. With most companies you would need to pay as much as $8000 upfront for all of the services with no option for a refund if you aren’t happy. One of our law firm clients started off small and did not have the best office in a great location. When they were able to step up to a nicer location they found that their close rate improved dramatically. They were actually able to lower their marketing budget because their close rate improved. Spend a little more up front – it will be worth it. If you met with 2 attorneys and their offices looked like these 2 offices then which would you choose? • Many SEO firms engage in black hat SEO. This can get your site banned permanently from Google. Or demoted to page 90 of the search results. Read this for more info. I have been working in the industry since 2001 and I can’t even tell which firms engage in black hat SEO any more. 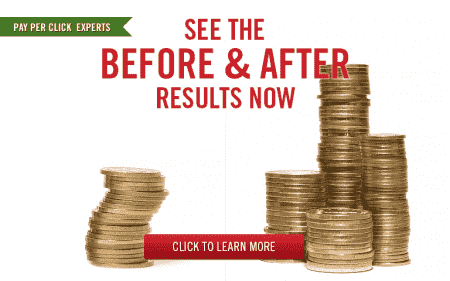 • You will need to pay an SEO firm for months to see results. • Subscribe to Planet Ocean and read their Unfair Advantage Book on Winning the Search Engine Wars. • Visit Marcus Sheridan’s website. Ignore his suggestions about setting up hubspot. WordPress is the way to go. • Read Neil Patel’s blog and subscribe to his emails. • If you have to hire someone to do SEO then hire LegalWebDesign.com . I have known the owner, Adam, for several years. He is also an attorney. And he is one of the most ethical people I know. 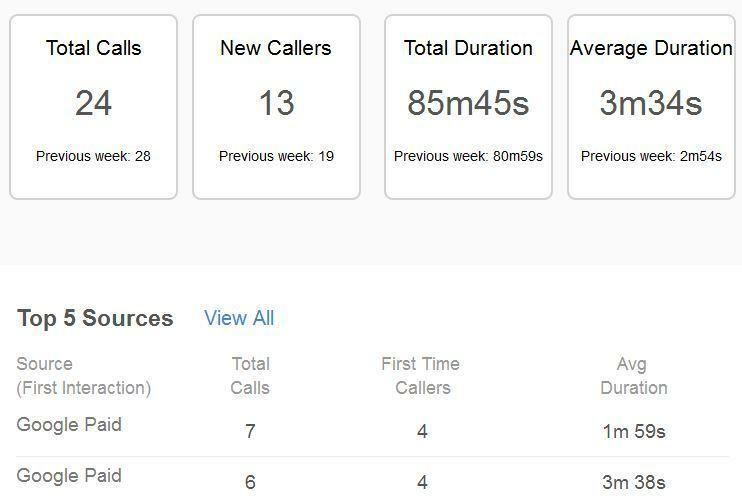 We use CallRail.com for call tracking and call recording. This costs about $50 per month and there is a two week free trial. Setup is a breeze. You will be able to see where your leads come from: natural search, direct traffic to your website, paid search etc. You’ll even be able to see which keywords from paid search generated a lead. Call recording will let you know if your office staff could be doing a better job. Be sure to call CallRail during the first two weeks so you get personalized step-by-step guidance on how to set up your account and link your account to Google Analytics and Google Ads. A final note about calls is it is critical to have someone pick up the phone within three rings. Calls absolutely must be handled well. Otherwise all your marketing efforts are lost. This is why you need to record your calls and monitor who is picking up the phone. Use an answering service after hours. ake a look at these statistics from CallRail for a bankruptcy attorney. These are the results of a paid search campaign for an attorney who spent $337 in one week. The results that week were unusually strong. Notice below there are some repeat callers who have called before. That’s a good sign that people are calling back for more information. Note also the decent average call length. That’s a sign of good call quality. Now take a look at some data of average call length at the keyword level. This is just data from one week so isn’t as insightful as keyword data that is aggregated over several months. Paid search management companies have a bad reputation. So don’t get discouraged if your first few experiences aren’t great. The right firm will spend your marketing dollars efficiently and make you very successful. Call us now at 800-645-9521 or fill out a contact form on this page for more information. We may be able to offer a 60 day risk-free trial for paid search management. Best of luck. Let us know if these suggestions are helpful for marketing your law practice. If you diligently follow these best practices you’ll have clients lined up at your door.